As we go to press, Congress continues work on three issues important to us: appropriations, authorization, and the proposed redesign of the Department of State and USAID. Both chambers rejected the draconian cuts the administration proposed. The House passed an appropriations bill and is waiting for the full Senate to vote on its bill before meeting in conference. The Senate bill would appropriate $51.2 billion, which is $1.9 billion below the 2017 level, $10.7 billion above the administration’s request, and $3.8 billion more than the House. Meanwhile, the Senate Foreign Relations Committee passed an authorization bill and is seeking floor time. Both the House and the Senate are engaging with the State Department about the proposed redesign. There is broad support to help State do things that make it more efficient, such as providing better IT, and there is conviction that any redesign should support U.S. foreign policy objectives. At a September 26 House Committee on Foreign Affairs hearing with the Deputy Secretary of State, representatives emphasized the need to have diplomats on the ground to prevent conflict and persuade governments to join sanctions regimes. So often, members’ impressions come from the Foreign Service people they meet abroad. At the HFAC hearing, Congressman Joe Wilson (R-S.C.) talked about the “first class” Foreign Service people he met on a recent trip to Europe, how skillful they were, and how proud he was of their dedication. 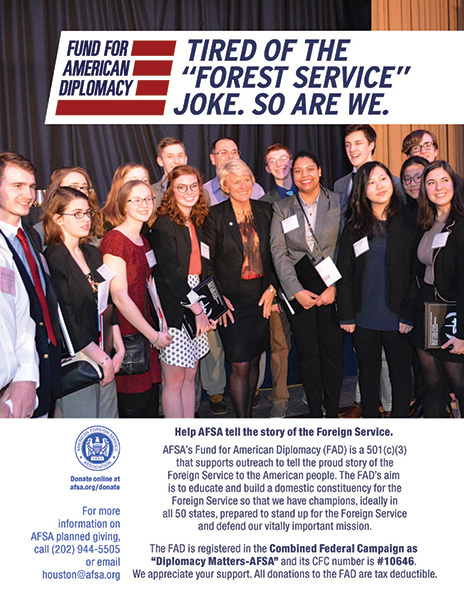 Nothing helps the Foreign Service more than expanding the universe of those who understand what we do, how well we do it, and why what we do matters to the United States. 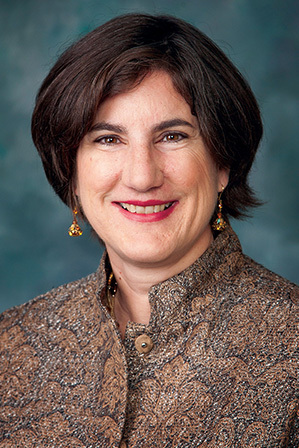 Mary Daly is Director of Advocacy and Speechwriting at the American Foreign Service Association.